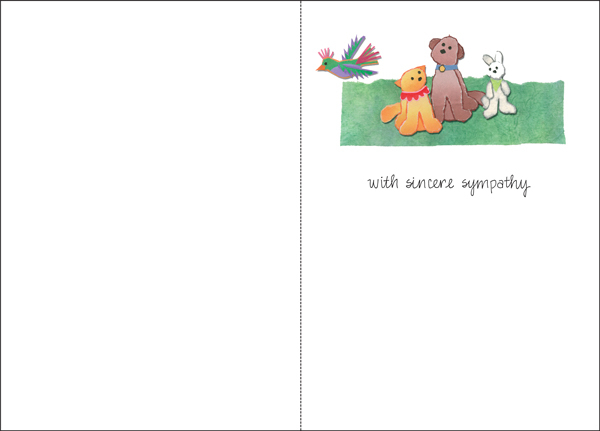 Beautiful Loss of Pet Cards | it takes two, inc. Looking for a simple way to offer clients outstanding customer service? 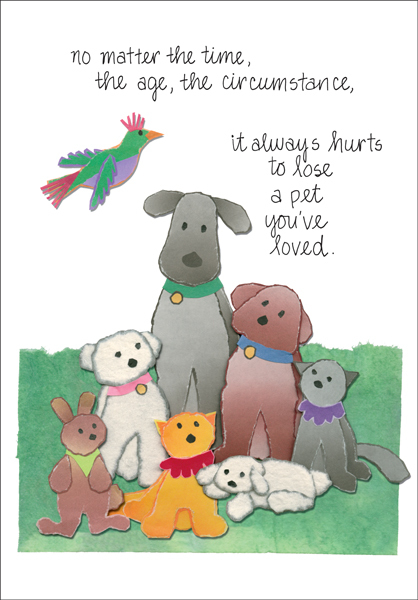 Make loss of pet cards the cornerstone of your practice and watch your customer appreciation grow! When a client loses a pet they need comfort more than anything. Meet their emotional needs with a heartfelt sympathy card and they will repay you with years of repeat business. Pet loss cards are a simple, inexpensive way to take customer service to the next level. Click 'Add to Cart' and have a supply on hand! Front: no matter the time, the age, the circumstances, it always hurts to lose a pet you've loved.